The Sami people (otherwise known as Sámi, Saami, Lapps or Laplanders) are the only indigenous people of Scandinavia not only recognized but also protected under the international conventions of indigenous people. They inhabit an area known as Sápmi, which covers parts of northern Norway, Sweden, Finland, the Kola Peninsula of Russia, as well as the border area between south and middle Sweden and Norway. The traditional Sami religion was a type of polytheistic paganism. However, as Sápmi covers a large amount of land this has allowed for the evolution of variations in beliefs and practices between the different tribes. The dominating religions are now Lutheranism and Russian and Eastern Orthodox. 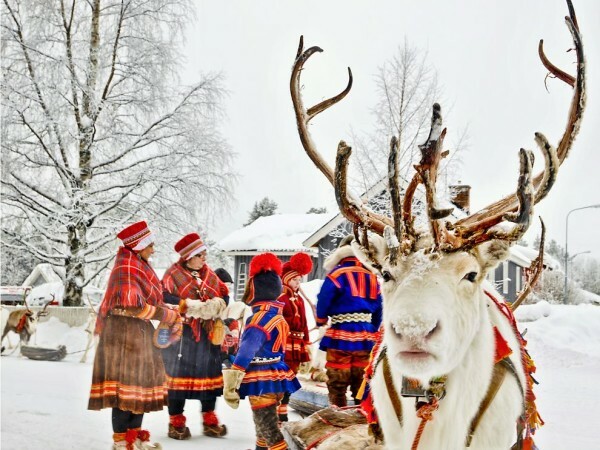 The traditional Sami clothing is called gákti, which in past times was made from reindeer leather and sinews, but is now more commonly made from wool, cotton, or silk. Women’s gákti typically consist of a dress, a fringed shawl and boots/shoes made of reindeer fur or leather. The boots typically have pointed or curled toes. Traditional gákti are most commonly in variations of red, blue, green, white, medium-brown tanned leather, or reindeer fur. The colours, patterns and the jewellery of the gákti are indicative of where a person is from, whether the person is single or married, and sometimes even a specific family. 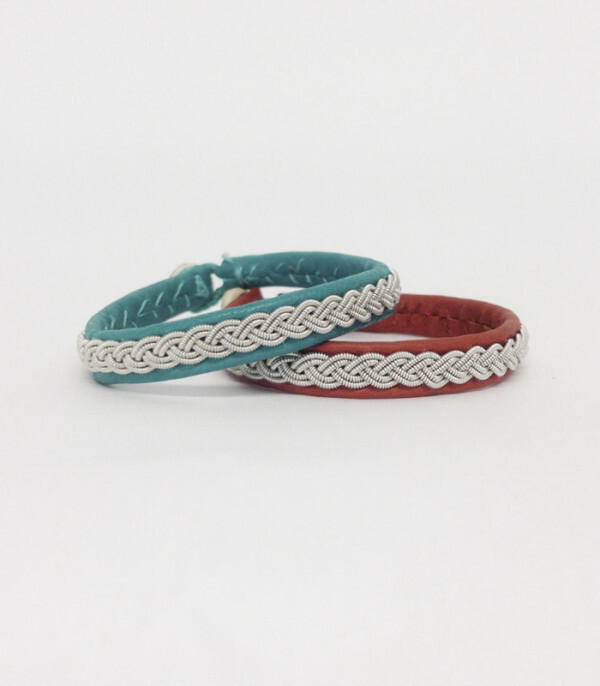 Our Sami bracelets are reflective of the Sami jewelry style. The Sami handicraft, known as Duodji, originates from when the Samis were self-supporting nomads. They held the belief that an object should first and foremost serve a purpose rather than being primarily decorative. Among the many items that they make are: clothing, weapons such as knives, baskets and musical instruments such as drums. Yoik/joik is a feature of Sami musical tradition. Yoiks are song-chants and are traditionally sung a cappella, usually sung slowly and deep in the throat. Reindeer herding is a strong part of the Sami culture and ancestry. Today, this practice is legally protected as an exclusive Sami livelihood in Norway and Sweden. If you’re a lover of the movie Frozen, next time you watch it make sure to look out for any similarities to the Sami culture!